Today I want to show you a simple but very elegant manicure. I don't usually wear such simple designs but this time I really wanted a clean and perfect french. Astazi vreau sa-ti arat o manichiura simpla dar foarte eleganta. De obicei nu port design-uri asa simple dar de aceasta data chiar am vrut un french curat si perfect. I did it using black acrylic paint, not nail polish. I find it easier this way. Achieving that perfectly curved smile line is a piece of cake when using a thin striping brush. Top everything off with a coat or two of topcoat and you’re good to go. 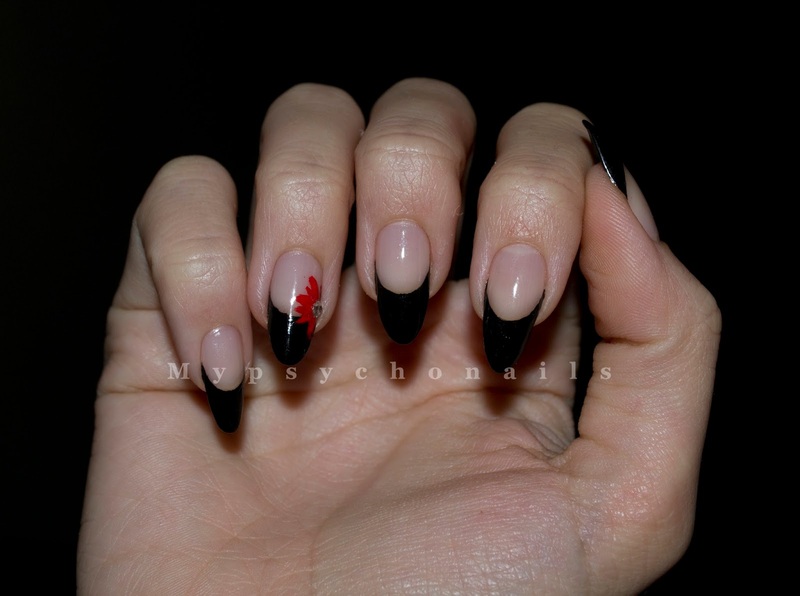 Simple, edgy and elegant in the same time! L-am facut folosind culoare acrilica, nu oja. Mi se pare ca e mai usor de lucrat asa. Obtinerea acelei linii de zambet perfect curbata e floare la ureche daca folosesti o pensula subtire pentru linii. Acopera totul cu un strat sau doua de topcoat si esti gata! Simplu, indraznet si elegant in acelasi timp! Hope you liked my manicure! See you! Sper ca ti-a placut manichiura mea! Pe curand!